About Windows hello: Windows Hello is the password-free sign-in that gives you the fastest, most secure way to unlock your Windows devices. Windows 10(With driver) to support Windows Hello. Available for every computer with Windows 10-based and USB port,such as small footprint PC,laptop PC,Desktop PC. 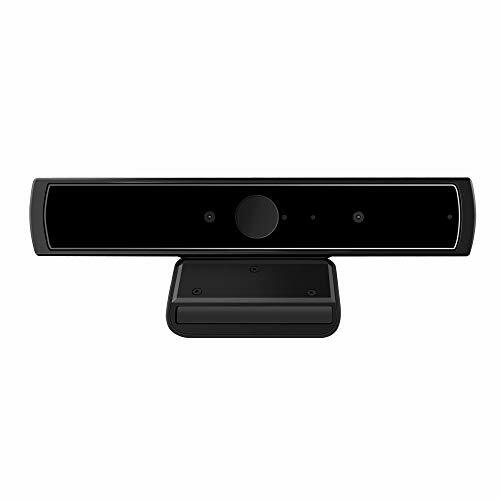 HD 720p RGB web cam with Dual Mic for skype ultra-sharp, FaceTime, professional quality video, streaming, webcasting and recording. Multi-user support. Identify users with faces even on shared computer such as family and group. Everyone can easily use account differently. Masquerade Detection by Infrared Cam with Depth Sensor. High-Security Biometrics. Masquerade by photos and images can be prevented.